Have a luxurious moment away from the daily bustle. 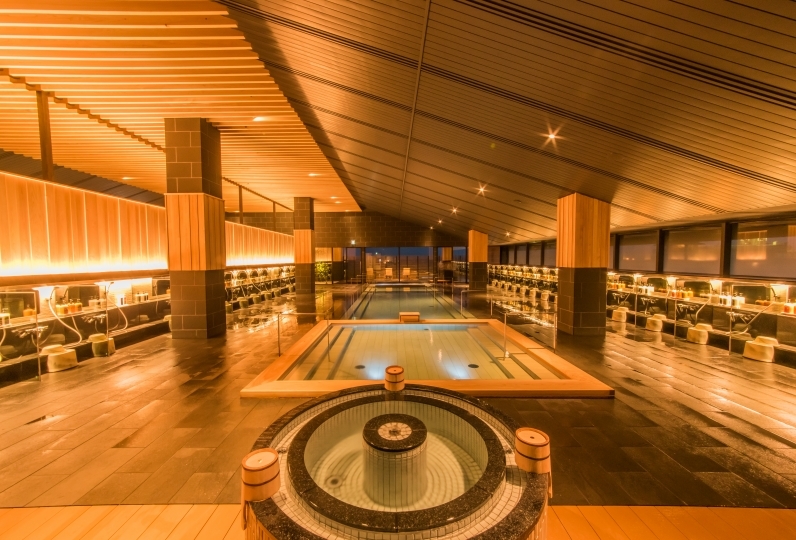 "MATSUYA SENSEN" is selected for 250 popular Onsen Ryokans and certified as the 5-star inn. "Sen no koboreyu" is a spacious hot spring public bath and women's bath has a variety of open-air baths as well as a healing sauna and a jacuzzi. The unique Japanese experience of a tea ceremony and making "onsen egg" attracts guests. All rooms on the special floor "Hanareza" have a private open-air bath. 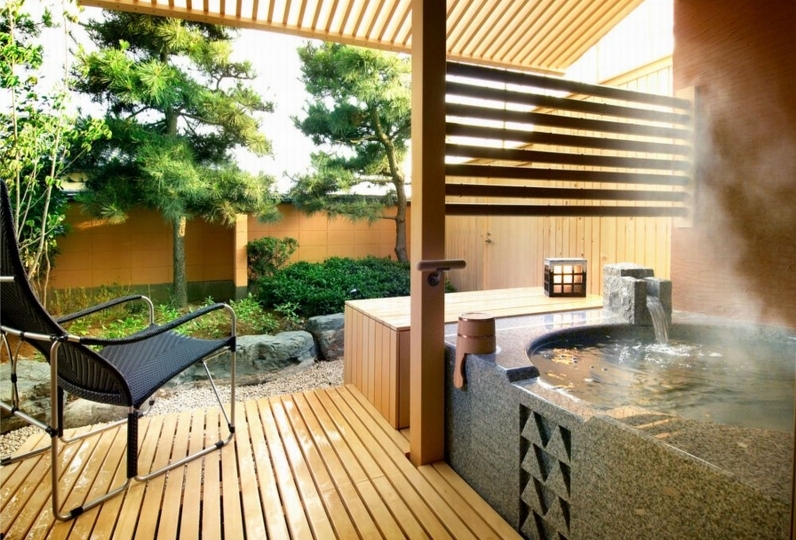 Luxurious space with Japanese modern interior and your own open-air bath give you a wonderful relaxing time. You can enjoy the original beautiful "Kaiseki" Japanese course using local delicious ingredients of Fukui. We welcome you all with our warm-hearted hospitality. I made two bookings with my parents at home. The rank of the room was different, but thank you very much for adjusting to the rank above. The AKB dinner at the dinner was delicious, with a bowl full of crabs and crabs of a size that I had never seen before, and a steak full of flavor. Of course there is no other sashimi or gift item to say. Breakfast was just delicious food with a variety. I also enjoyed making hot spring eggs and matcha tea with Japanese sweets. The open-air bath in the room was pleasant and I entered eight times. There was also a sauna in the public bath, and the open-air bath was large and I was moved. Person in charge of room explained very carefully variously, and trip became fun. My family and my parents were very happy. I will go there again! Exclusive for the guests staying in Hanareza. * In-room service is not available. Newly opened on Oct 1, 2017. A Japanese modern dining room with an open kitchen. 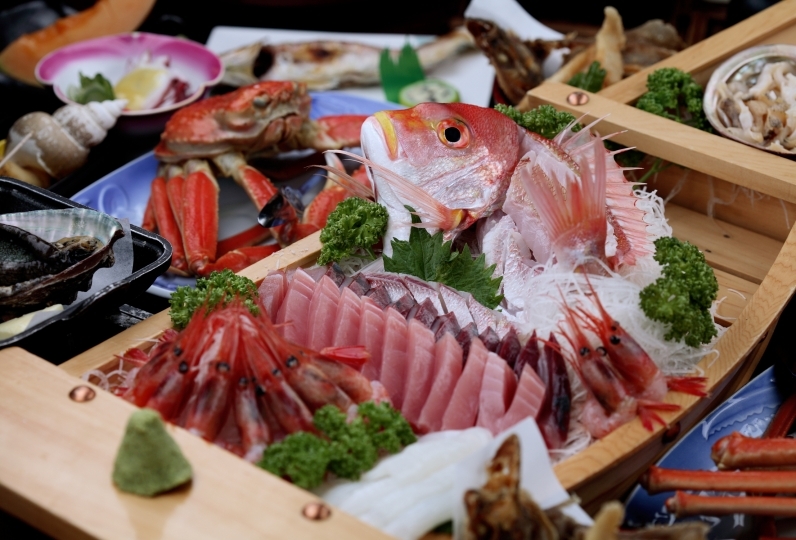 You can enjoy delicious dishes and Sake perfect for the foods. The dining is spacious with table and chairs style. * For groups of 7 people or more, we may prepare another dining space. 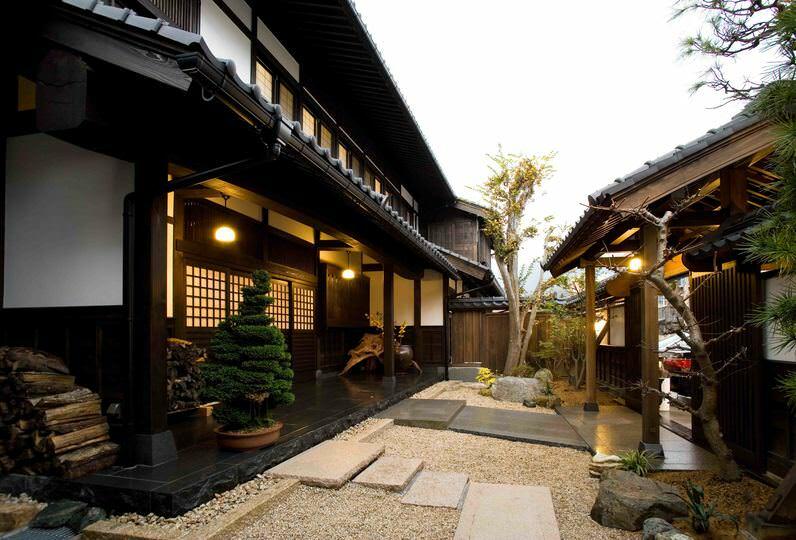 When you stay in Ryokan, hot spring is the must! Surrounded by greens of a forest, you can enjoy forest bathing as well as hot spring. "Sen no koboreyu" is one of the largest hot spring public baths in Hokuriku region. Women's bath has a variety of open-air baths. Men's bath is spacious and superb. 35 half-private washing spaces are available. You can taste Echizen Oroshi Soba noodles, Onsen Kamatama Udon noodles, and Yakitori. ※ Pick-up service is available between 14:00 and 18:00.